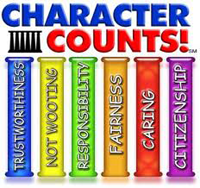 Lamar Elementary participates in the CHARACTER COUNTS! program. We strive to instill in each child the six pillars of character. Check out Lamar Elementary's Kids of Character.